Vintage Longines Zeppelin Ad – I Already Have a Watch. It was a different sort of time, when airships and dirigibles represented the state of the art in air travel. Longines later became famous for its aviation, pilot’s and navigation watches like the Weems and the Hour Angle designed in consultation with Charles Lindbergh. In that sense it comes as no surprise that Longines (imported and distributed in the US by Wittnauer at the time) was one of many sponsors of the zeppelin project to feature the Graf Zeppelin (LZ 127) of Germany in its advertising during the interwar years. 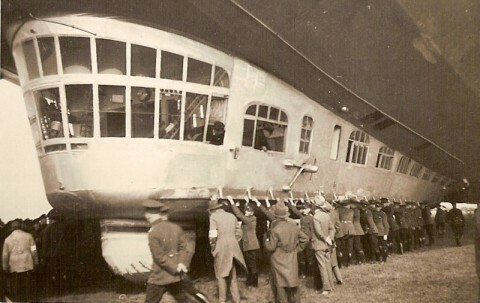 Graf Zeppelin, LZ 127 ca. 1920s. Tagged with ads, longines, Vintage Watches. $3500 must have been an absolute fortune in those days. This website (www.1soft.com/todaysdollars.htm) says $3500 in 1928 is $37,200 today. 1soft says that their calculations are based upon data provided by the Bureau of Labor statistics, but the Bureau of Labor Statistics’ own Consumer Price Index calculator puts $3500 in 1928 dollars at $44,683.74 in 2010 dollars. Wow.